From the Archive: A British Television Blog: Gerry Anderson Will Always Be F.A.B. to Me! 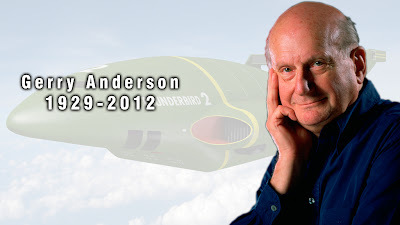 It was with great sadness that I learned about the death of Gerry Anderson. Of course, I cannot claim the same level of closeness with his creations as the youth of England in the 1960s but I have my own story to tell but more about that in a minute. 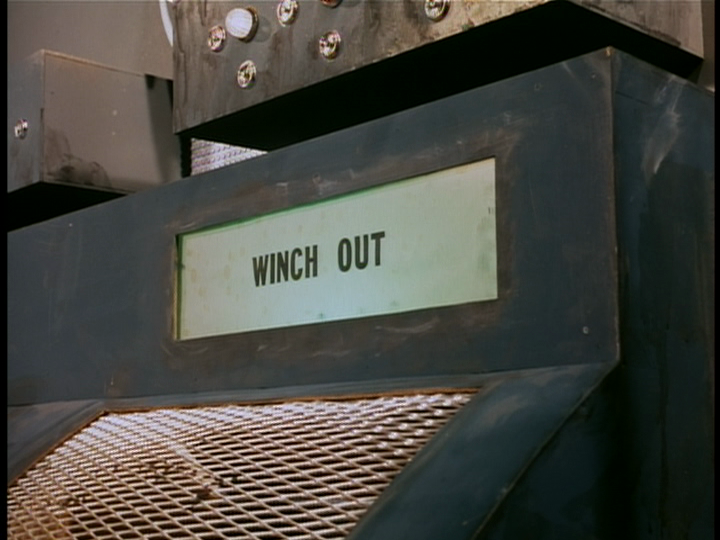 Gerry Anderson was a creator and perhaps an inventor. He wasn’t a conventional inventor but a creative one. Was he a visionary? He created a way for children to be thrilled by action series and give them a chance to dream but never talk down to them. These programs had no agendas other than to entertain. He created a term that he never took as seriously as we did….Supermarionation. 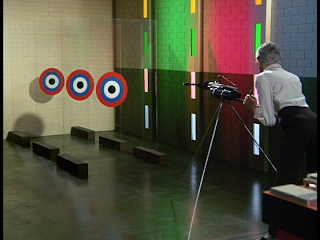 Supermarionation is the art of puppetry but to a level that we had never seen before. 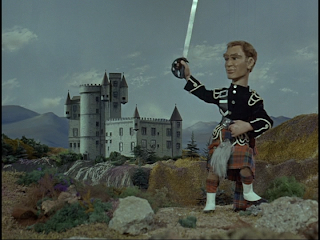 As the children of England in the 1960s grew up so did Supermarionation. With each new series, dramatic advances were made to the sculpting, pacing, storytelling, and miniatures for each progressive series. There has never been anything like it before or since. By the time the 1960s had come to an end, it seemed like Gerry was more interested in live action productions than the puppets we grew to love but that’s not quite true either. Supermarionation was just the beginning for him. 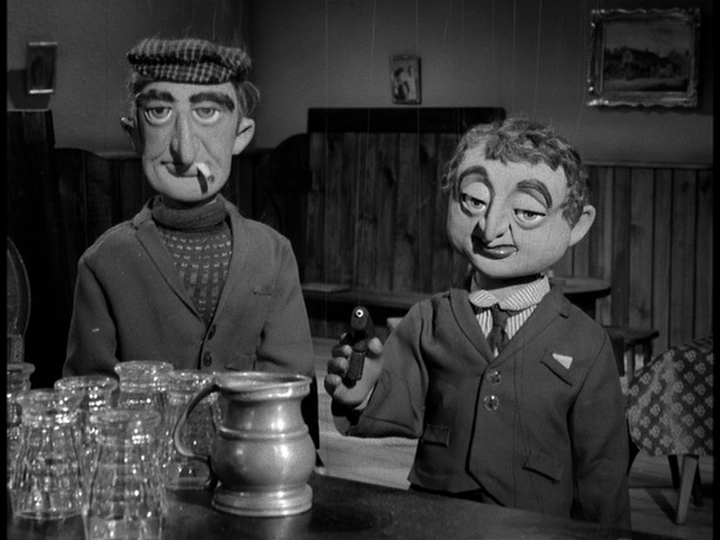 Gerry didn’t want to spend his life making shows with puppets. Starting with programs like The Adventures of Twizzle and Torchy the Battery Boy, these were meant as a way for Anderson to get his foot in the door to making live action series and not just to make more series with puppets. 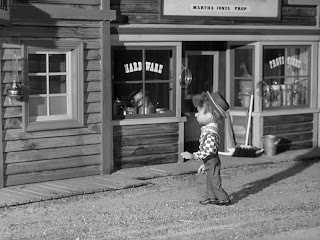 Next up for him was Four Feather Falls which was a puppet western. In this series, we got something that didn’t happen before; the mouths of these marionettes were moving with pre-recorded dialogue. Obviously, this was a great way to know which character was speaking. 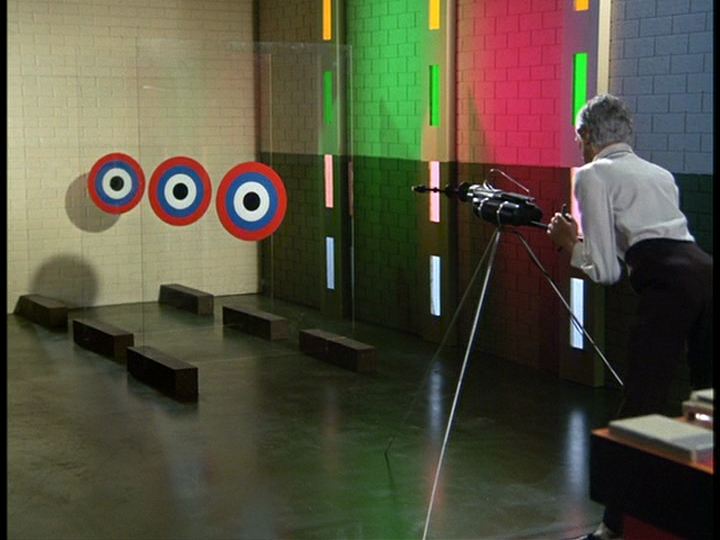 This all led to the start of Supermarionation with Supercar which led to Fireball XL5 and then to Stingray. These were all very successful because they had engaging stories, interesting characters and a lot of action. This wasn’t Muffin the Mule but instead a high quality set of series that created its own genre. What made these series a worldwide success was the man who sold these series to the world. 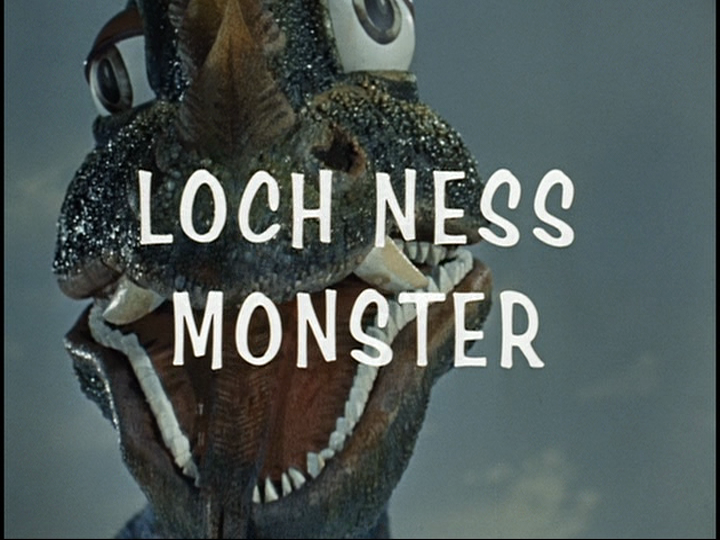 His name was Lew Grade. Grade was very impressed with all of Gerry Anderson’s programs and sold them but the next series which involved a family who named themselves International Rescue was to become the most remembered of them all. Of course I am talking about Thunderbirds. To say Thunderbirds was a massive success would be an understatement yet this is one series in a whole group of worldwide successes. For me, Thunderbirds will always be my personal favourite and it is a little personal for me. I didn’t watch Thunderbirds when I was a kid. The series certainly looked familiar but I can’t recall if it was ever shown in my area in the 1980s. I think if it was shown I would have been all over it as I love miniatures. More importantly, I love miniatures that blow up. I didn’t get into any Thunderbirds until my late twenties. Back when I worked for the corporate campus of Best Buy, we would sometimes be able to get our hands on free DVDs. The buyers at Best Buy would were the movie and DVD buyers and would get copies of the DVDs that they were buying so they can watch it and see if the wanted to sell this product in the Best Buy stores. On occasion the buyers would have so many DVDs stocked up that they received from the studios that they would open up the secret DVD room and allow people to go in and take whatever DVD they want. This happened a few times while I worked there. That’s where I got a respectable anime collection from when they were giving away these DVDs for free. Back in 2001 it was one of those rare occasions where I could get a few DVDs and I noticed the first volume of Thunderbirds on DVD released by A&E. I heard of it and since it was British therefore I needed to check it out. I took it home but didn’t watch it. One day, my girlfriend at the time Joleen came over and noticed it. She may have heard of the series before, I am not sure. The thing with Joleen is that she knew a lot of this kind of stuff already. It wasn’t due to hanging around with me. She was a fan of Doctor Who long before I ever met her and in fact she was watching it before I ever did. She suggested we watch it, which we did, and suddenly things changed. 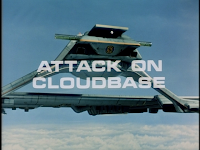 We watched the first episode of Thunderbirds, Trapped in the Sky, and we were both hooked. To be honest, a lot of it was because we were amused by it. It is a funny series in a lot of ways but it is also advanced in others. The characters are immediately likable and are fun. We plowed through the first two discs with ease. Soon more volumes were coming out. It didn’t really hit me to think of looking on the Internet when the next volume would be released. I would be at a Best Buy and we would see a new volume and pick it up. We were once in Florida to see her Grandma and we saw a brand new set there. Instead of waiting until we got back to Minnesota to pick it up, we grabbed it down there. Part of the fun was seeing Thunderbirds available in different places. As time went on, Joleen would pick up Thunderbirds toys, bed sheets and annuals from eBay. Sometimes we even got stuff from garage sales. I even got my Pontiac Grand Am which was green and had a spoiler. It had a passing resemblance to Thunderbird 2! We enjoyed the look of the series and just the detail that went into the puppets. We also loved the quirky aspects of the series such as Kyrano, F.A.B., Parker and the use of the phrase “winch up”. As we got to the end of Thunderbirds more Supermarionation series came out. Just after we were married, we picked up Captain Scarlett and the Mysterons. I remember shortly after we were married in September of 2002, sitting in my mother-in-laws house watching the first disc of this series with Joleen. It was such a nice memory as we both really enjoyed it but it was such a different series to Thunderbirds. We also laughed at the lyrics of the end credits (see below); it was always amusing to us. From there we kept buying everything that came out. 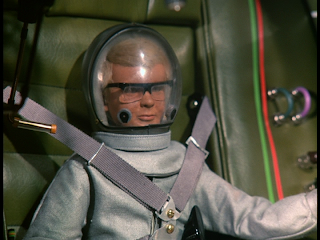 We bought Supercar, Fireball XL5, Stingray, Joe 90, The Secret Service and Space: 1999. Yes, there are some series missing. Still, I consider these series, especially Thunderbirds, as very special. Gerry Anderson brought these to us. As a way for me to pay tribute to what Gerry Anderson had brought us, I spent the day watching a lot of Supermarionation. Here is what I watched and my thoughts on the episodes. It was a fun day! This is episode 26 of the series. 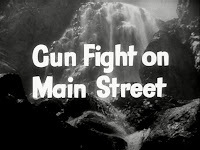 The series is about a Sheriff named Tex of the town Four Feather Falls. Tex has four feathers in his cap that allow his guns to fire automatically, which is helpful if his hand are raised, one feather that allows his horse to speak and the other to allow his dog to speak. 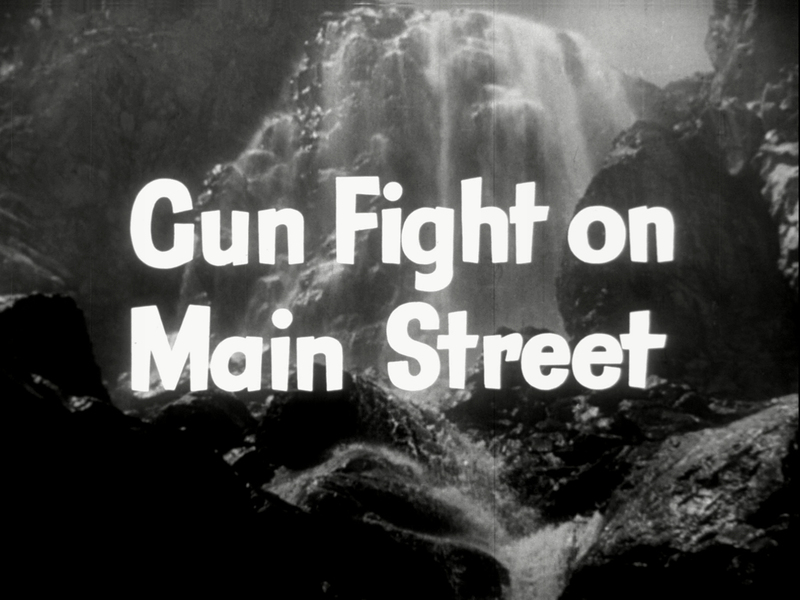 In this episode, he needs to stop someone he knew from getting into a gunfight with another gang who are suspect of killing this guy’s brother. These episodes are really short. They are about 15 minutes each. This is a neat little rare treat. I know the full series has been released in the UK on DVD, this is from the Blu Ray of the re-colourised episode of Fireball XL5. The episode simply looks stunning in HD. It is black and white but everything is so clear and detailed. The detail of the Main Street is great. The wooden sidewalks look authentic. This is an early example of the talent of Derek Meddings who is brilliant with miniatures. As these series progress, his talents grow. What aren’t so great are the sculptures of the cast. In some cases, they are almost grotesque looking. I think many will probably argue with me that this gives these characters, well, character. I will be honest; it’s just hard for me to watch. Though,it is kind of fun watching puppets order and drinking whiskey, especially as it is a kids show. I was surprised to see 2 of the voice actors in this series were Nicholas Parsons who did a lot of game shows as well as early Benny Hill. 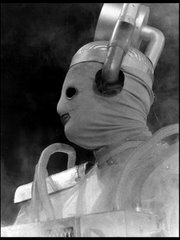 He was also in Doctor Who The Curse of Fenric. We also hear the voice talents of Kenneth Connor. He may more familiar to people as Monsieur Alfonse from ‘Allo ‘Allo! Supercar may not be one of my favourite series but it is the first of the Gerry Anderson series to use the term Supermarionation. This episode takes place in Ireland. Doctor Beaker is out there at a pub talking with the local pub owner and his daughter when some smugglers come in to get some supplies. 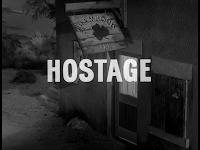 When they let it slip they are smugglers, they take the Keeper’s daughter as hostage. Dr. Beaker is able to get in touch with Mike Mercury to come and save her with Supercar. The marionettes still look crude but I have to admit that the Irish daughter in the episode was kind of cute with her big eyes and she was also voiced by Sylvia Anderson, Gerry’s wife. It’s interesting when the cast is talking amongst each other in the pub, on the fireplace mantle behind them is pictures of real people! It’s funny to see that as it is clearly real people that look nothing like the “people” in this episode. I meant to watch an episode of Fireball XL5 but never got around to it. That series is interesting but what has always been a letdown for me is that Fireball XL5 is a general space exploration series seems to have been very big at the time. To me, the other Supermarionation series are a little bit more interesting because they take basic ideas but add a slight curve ball to them. 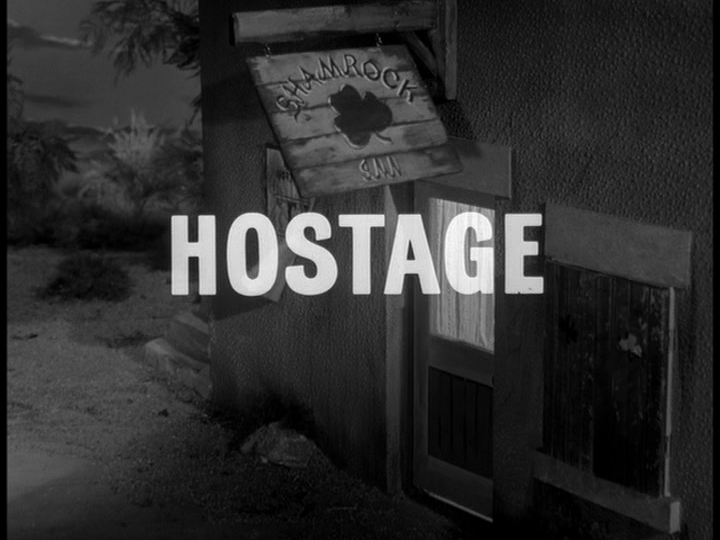 Not of any fault of Stingray but to me this is the most frustrating of all of the Supermarionation series. As I mentioned above, I love Thunderbirds and Stingray came prior to the Thunderbirds. This series is so frustratingly close to Thunderbirds without it being Thunderbirds. 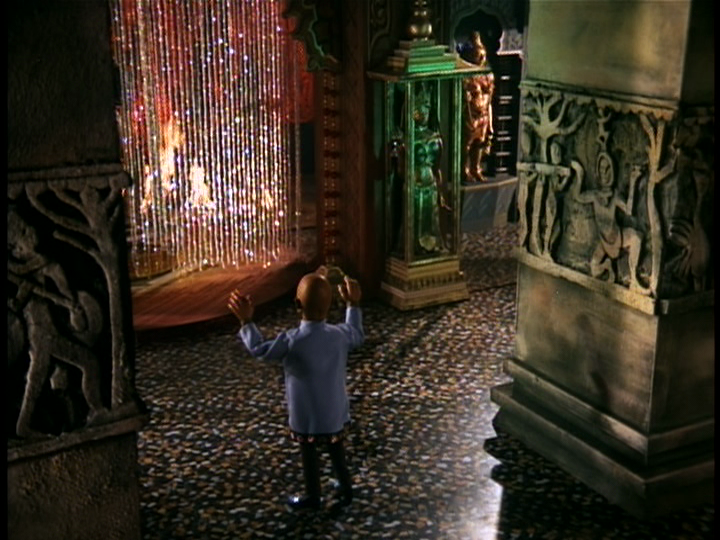 It is the first Gerry Anderson series made in colour; the music has a lot of “themes” in it that are used in Thunderbirds. The bay that Stingray launches from looks very close to where Thunderbird 1 launches. The characters look very close to how the Thunderbirds characters look especially Marina who looks very close to Lady Penelope. Obviously Stingray happened first but I saw Thunderbirds first so I can’t help making this unfair comparison. 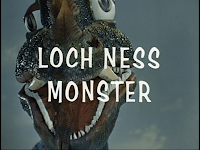 This episode starts in Scotland with the Admiral of WASP (World Aquanaut Security Patrol) on a boat when he is attacked by the Loch Ness Monster. Eventually WASP sends Stingray out there to investigate but the team finds it not as straight-forward as it would seem. I am not a huge fan of this series but I really enjoyed this episode. First off, Marina is not in it. I simply don’t like her. Troy Tempest sidelines the other woman in WASP, Atlanta, because of his infatuation with Marina. That no good two-timing puppet! On this trip he takes Atlanta with him along with “Phones”. When I stopped to pay attention, the puppetry work on this is truly amazing. The puppets carry around lit candles in the castle during the night. It is really well done. The interiors/exteriors of the castle are fantastic. It is really a nice piece of work. This episode is written by Dennis Spooner and I forgot that Lois Maxwell (Moneypenny) is the voice of Atlanta. I think this is a series that needs to get a reappraisal from me. 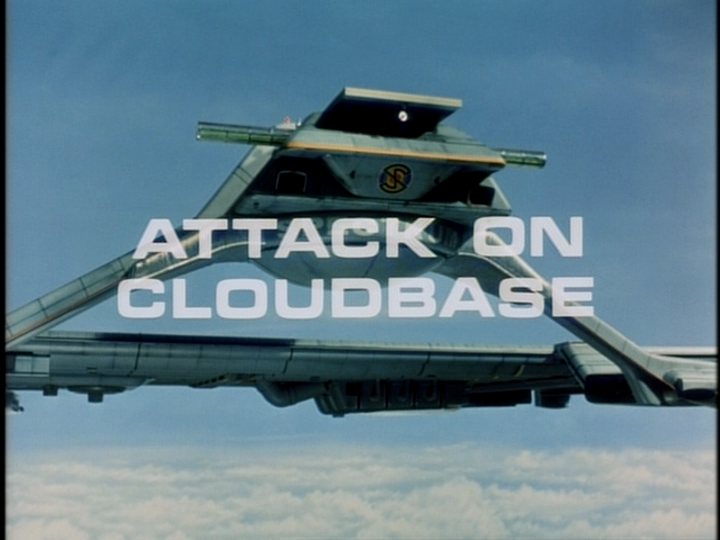 When it came to watching Thunderbirds, I needed to watch the first episode. 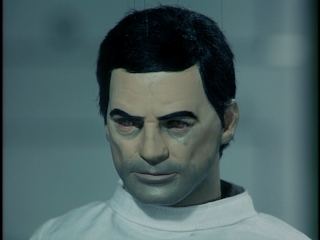 After all, that is where I first got involved with this series as well as the world of Gerry Anderson. I forgot that this episode is truly the first mission conducted by International Rescue. Everything is new and the Tracy family is ready for their first mission. This episode has a lot to do with their servant Kyrano. In fact, Kyrano’s half-brother is the sinister villain, The Hood. The Hood is never named as such in the series plus he never wears a hood. It’s like calling Spiderman “The Cape”. It is also interesting that none of the Tracy family really even knows about him or is really truly threatened by him. It’s a nice touch that there is this super villain out there but no one quite notices he even there. In this episode, all he does is try to get some pictures of Thunderbird 1 but by the end his car is gunned down by Lady Penelope and Parker. 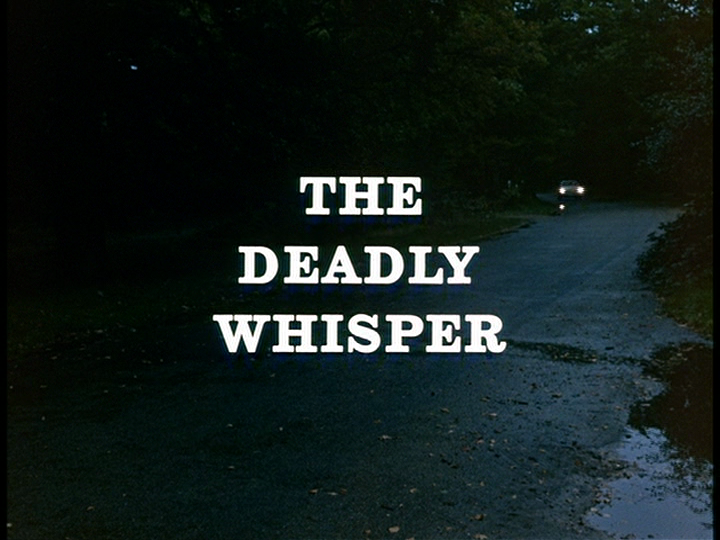 The episode starts off in a very atmospheric way. We are invited to a temple that is mysteriously and darkly lit. 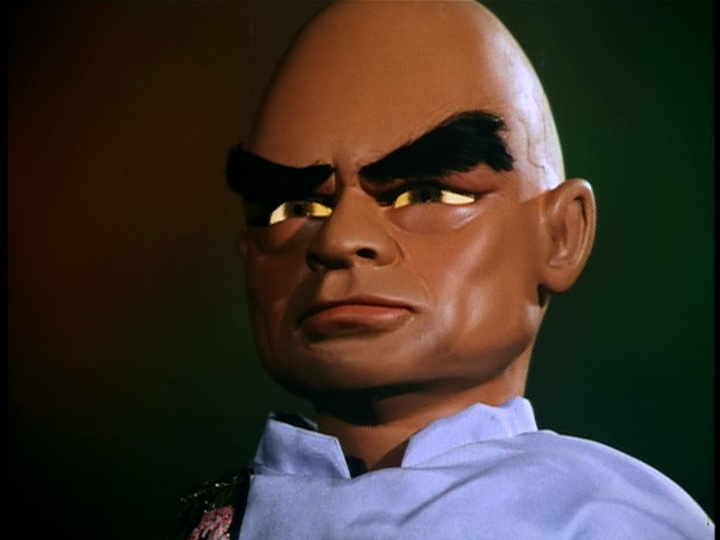 There, The Hood, gets inside the head of his half-brother Kyrano to try to find out more about International Rescue. This storyline is hardly really ever explored further in the series which is puzzling but I am alright with that. It could easily be too easy for this story strand to be repeated week in and week out. We also meet Kyrano’s daughter Tin-Tin who is on the maiden voyage of Fireflash. The Hood puts a bomb on Fireflash which prompts International Rescue into action. This is a lovely introductory episode. It introduces all the characters but in a way that is not overly introductory, if that makes any sense. It’s low key. 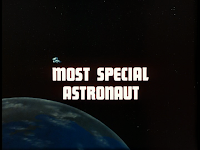 Through the evolution of the episode, one gradually learns about International Rescue, the Tracy family and the amazing ships that make up the team. This episode brings back great memories. I LOVE this series. The puppets have been refined to a point where everything is completely in scale. The previous puppets couldn’t have heads in scale with the rest of the body because of the mechanism inside the head that moves the mouth was always too big to allow the head to be in proportion with the rest of the body. Now with this series, that had been fixed. They look a lot like Ken and Barbie dolls that actually move! This series is actually pretty dark. The Mysterons are race from the planet Mars. Their colony on Mars was destroyed by Captain Black when he felt that they were going to attack his mission while on Mars. The Mysterons took him over and he became one of their agents. He is creepy. 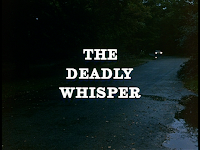 At the beginning of each episode, we are introduced to the cast of characters while the Mysterons, in their deep bellowing voices, threaten them with what is going to happen in this episode. It is really adult and perhaps at times disturbing. Kids must have lapped this up in the 1960s. You knew when the Mysterons was taking someone over as two green circles would glide over their victim. Once you were an agent of the Mysterons, you were dead; you could not revert back into a normal human. Little Joe McClaine ins only 9 years old yet when he wears special glasses that have brain waves imprinted in them, he is a specialist of whatever brainwave is on the glasses. If the brainwave of a jet pilot is imprinted, then he is an expert jet pilot. If it is of a judo expert, then he is a judo expert. This time, it is an astronaut. Unlike other episodes of the series, this is pretty straightforward. The crew of a space station is running out of supplies. Multiple rockets have been launched bit for varying reasons the missions needed to be aborted. Joe is needed to be sent up to space. He becomes an expert astronaut. This is a very enjoyable program. Joe is a very sweet child and the whole series is quite fun. The only thing I can think of though is how messed up Joe must have been as he got older…..
From Wikipedia (by this stage of the article, I have become lazy): Professor Soames has invented an ultrasonic vibrational rifle that is capable of obliterating armoured vehicles. Criminal Mark Slater and his gang intend to use the weapon to shoot down an experimental aircraft using the weapon and kidnap Soames' daughter, Anne. With the professor's assistance, Unwin and Harding rescue Anne and set out to foil Slater's plot. This series is the first one I ever wrote about for this blog. You can find the original article here. I wasn’t overly impressed with the first two episodes of the series but by the time we get to the 9th episode, things are much different. The testing room for Professor Soames is awesome looking. It is hi-tech, colourful and just cool. Supermarionation never looked better. 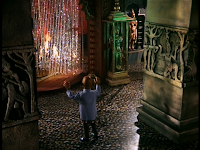 In the past to help move the story along in any of the Supermarionation series, sometimes we would see a real hand up close press a button or open a door. By the time we get to The Secret Service, not only are we seeing real human hands operating things, we also see humans walking down streets or driving cars. If that’s the case, they should just shoot a live action series. Oh, wait they did! It was called UFO! Perhaps Gerry was really getting tired of Supermarionation and was super eager to do something different. I don’t blame him. I plan on watching some UFO and Space:1999 at some point in the future. I really need to watch some more Space:1999 since I did not get through all of the episodes on the Blu Ray set yet. One thing I got when I watched all of these episodes is a reminder that this really is an art form. Now, everything is “built” on the computer for CG work but to have these miniatures built to such detail is mind blowing. I really thought about it a lot when I was watching Stingray. There must have been about 3 to 4 different versions of the castle built depending on the shots that were required. I have 2 memories I loved of Gerry Anderson outside the realm of his series. I saw these even before I knew who he was. One was the excellent short directed by Kevin Davies called Auf Wiedersehen Doc. Every character in this video is a puppet similar to Spitting Image puppets. The premise is that Colin Baker (fired from Doctor Who) is looking for work (he visits all sorts of employers including Leonard Nimoy to be in the next Star Trek film) and at one point he goes to Gerry Anderson for work. Gerry goes on a tirade/rant because all the work he has ever done has always been overshadowed by Doctor Who! The whole short is hilarious but this scene is awesome. This is a wonderful scene as for once it is Gerry Anderson who is the puppet! Also there is a sweet scene in More Than Thirty Years in the TARDIS from the interview from 1993 where Gerry jokes that, despite his career of making children's programming, the "real tragedy of my life" was that his own son Jamie (appearing with him) was a Doctor Who fanatic. It is a wonderful self-deprecating moment that just shows how human this man of puppets really was. Since his passing, I have heard a lot of people talk about how approachable he was and how much he enjoyed talking about his work with them. I would have loved to meet him. He gave me many, many great memories. Writing about him, I didn’t even scratch the surface. I will leave off with what his son Jamie said recently to fans about his father’s passing, “We have been so touched by the outpouring of sympathy from all over the world. We have had messages from India, Uganda, Australia - and from people aged between seven to 70. It is so nice to know how my father touched people's lives across all the continents. But I'm proudest of him for the contribution he made to the Alzheimer's Society. He was so torn apart by his illness. But his involvement with the charity raised £1million in just a year." Next Week: I begin the first of yearlong set of articles celebrating 50 years of Doctor Who. The articles will be called 50WHO and will focus on a specific story. Each month will be a different Doctor. The twist is that I will not be looking at the plot per se but why I personally appreciate that story. It may not even be a favourite story but one that means something to me. The first one will feature the fifth Doctor Peter Davison as I look at The Visitation. Nice tribute, Greg! While I was aware of Aderson's stuff, especially THUNDERBIRDS, when I was growing up (being a Brit TV fanatic from my early teens), our local stations in the SEattle area never showed any of his programs. I never actually saw anything of his until my early 30s, when A & E first started releasing THUNDERBIRDS on DVD. 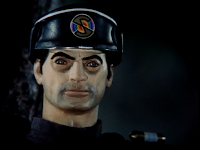 Recently, I picked up CAPTAIN SCARLET and have been really impressed with by its darker tone and the amazing level of detail in all the sets, model work and props. You're right - Anderson's technical crew were true artists. I also caught a few episodes of THE SECRET SERVICE on cable TV here in Japan several ears ago. Also a fun show. I am curious about his earlier series, with their big bobble-headed puppets (STINGRAY looks the most interesting of these) but think his later shows, with their more "realistic" look, are more to my taste. I enjoy myself now, in my mid 40s, when I watch an Anderson Supermarionation program, but my main thought is always how much more I would have dug them as a child. I feel just a wee bit sad that I missed out on that opportunity (though of course I had more than my fair share of good stuff growing up). Kids growing up in 1960s Britain were pretty lucky, I'd say. Thanks for the nice words. 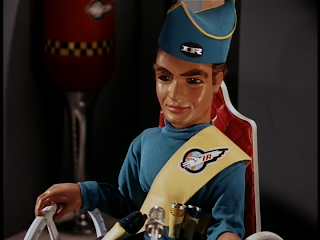 You and I are very similar with our experience of Thunderbirds and picking up on it in our adult lifes. 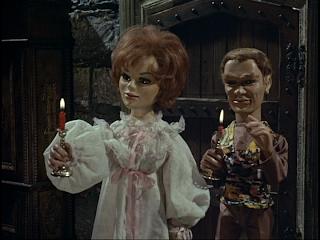 What is Thunderbirds seem to marry up perfectly to the children growing up in the 1960s. I would have to agree with you that I do prefer the later series with a more realistic puppets than the earlier ones too. 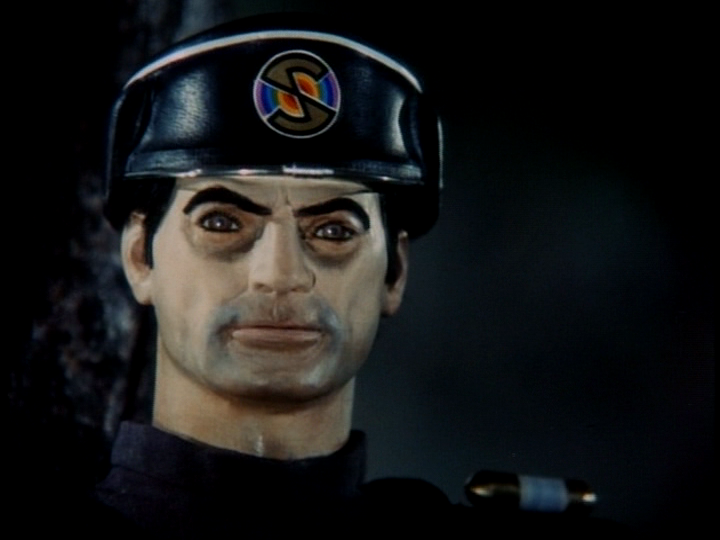 Even the story lines, at least with Captain Scarlet and the Mysterons are darker. You are in Japan now? I remember hearing there was a rather large resurgence of popularity for Thunderbirds over there. Is that true? Is is still popular over there? 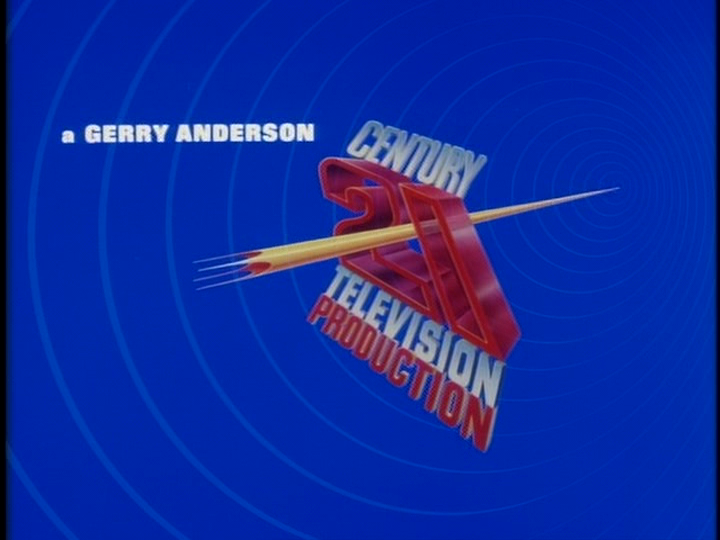 While I have never gotten into the shows, I would agree that Gerry Anderson was a tv pioneer and losing anyone of that stature makes for a sad day. Why I think his stuff is so good is that he (along with the rest of his crew) were just trying to make good television. There wasn't any spin to it; they just got on with it. The work always spoke for itself.